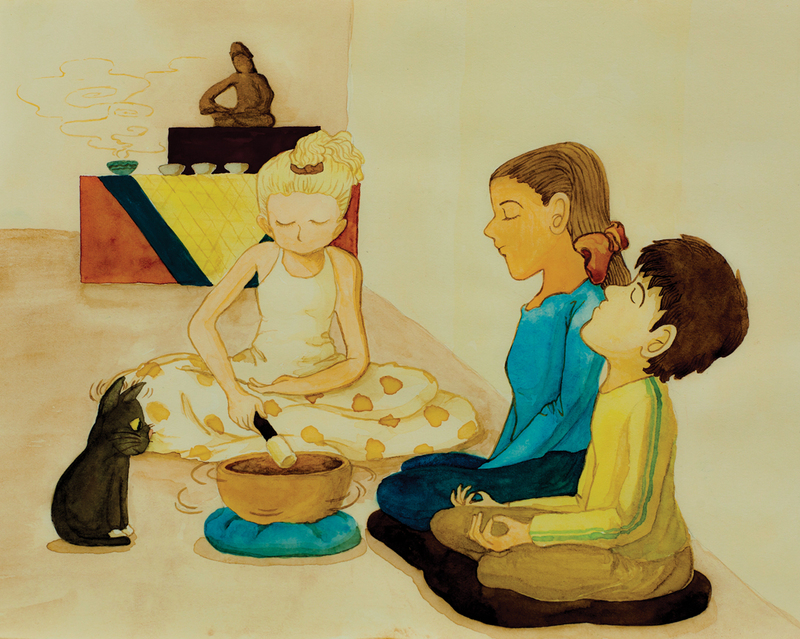 From Blue Moon Aurora, a book of children’s stories presenting the wisdom of Mahayana Buddhism through the accessible and entertaining lens of a modern Buddhist family. Through books we do not only learn for this life but we also cultivate wisdom for future lives. When children read a book, it leaves an imprint in their mind, thus to teach them the dharma through books plants a seed of liberation in their minds. It is extremely important and beneficial to teach children when they are young; in this way they will form good habits for their entire life. 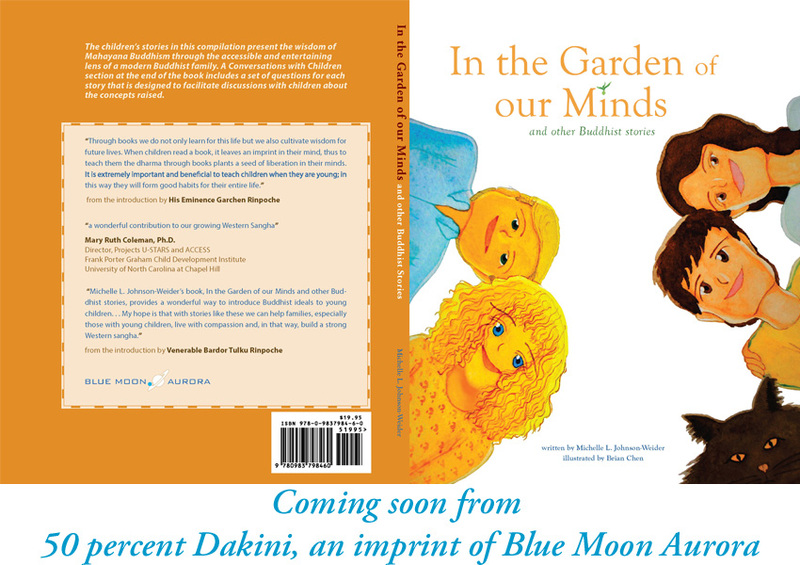 Michelle L. Johnson-Weider’s book, In the Garden of our Minds and other Buddhist stories, provides a wonderful way to introduce Buddhist ideals to young children. 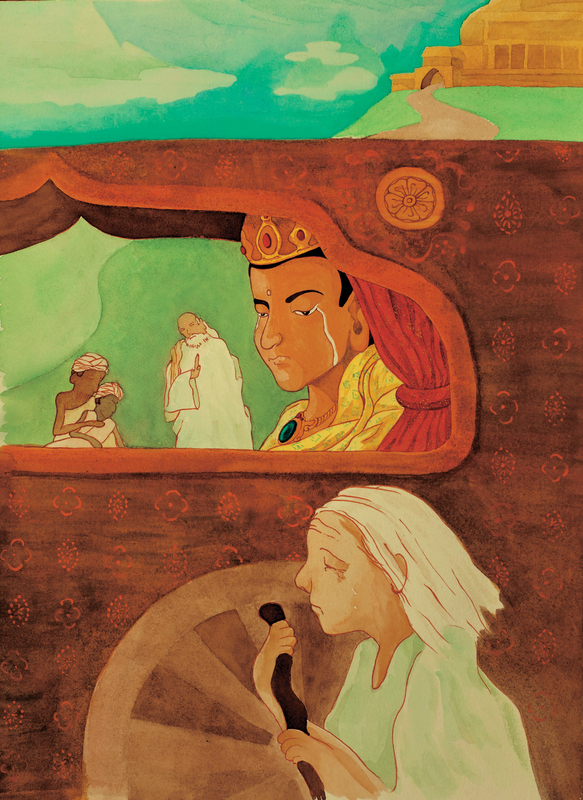 . . My hope is that with stories like these we can help families, especially those with young children, live with compassion and, in that way, build a strong Western sangha. Text by Michelle L. Johnson-Weider; illustrations and graphic design by Brian Chen.